Peter Scuderi from Construction Innovation, and Axl Driml from Facility Management Association of Australia are to speak at the next QWESTNet (Queensland Water and Energy Sustainable Technologies Network) forum: Can your facility face the future? 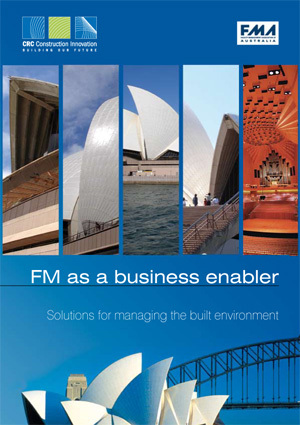 Peter has been invited to provide an insight into the innovative approaches to facility management being implemented by the Sydney Opera House (SOH). Speaking on the topic of Multi-dimensional Facility Management and Planning Tools, Peter will draw on research from the award winning Construction Innovation Sydney Opera House Exemplar Project. Construction Innovation and the Australian Government’s FM Action Agenda partnered with industry, government and research to develop strategies across three research themes: Digital modelling, services procurement and performance benchmarking. Peter will discuss the potential applications for the broader FM industry of the solutions developed for the SOH Project. Both Peter and Axl will also participate in the QWESTNet discussion panel – What are the future demands on facility managers and how can those demands be dealt with?. The panel will predict the generic features of new buildings and question how existing buildings will compete. The forum takes place at Indooroopilly Golf Club on Wednesday 20 August from 8.30am-2pm followed by a trade show. This is an excellent networking opportunity for Queensland businesses and a chance to explore current and future sustainable technologies with the view to reduction of costs and better management of energy and water use. For further details and to register please visit the QWESTNet homepage.